At a time of unprecedented expansion in the life sciences, evolution is the one theory that transcends all of biology. Any observation of a living system must ultimately be interpreted in the context of its evolution. Evolutionary change is the consequence of mutation and natural selection, which are two concepts that can be described by mathematical equations. Evolutionary Dynamics is concerned with these equations of life. 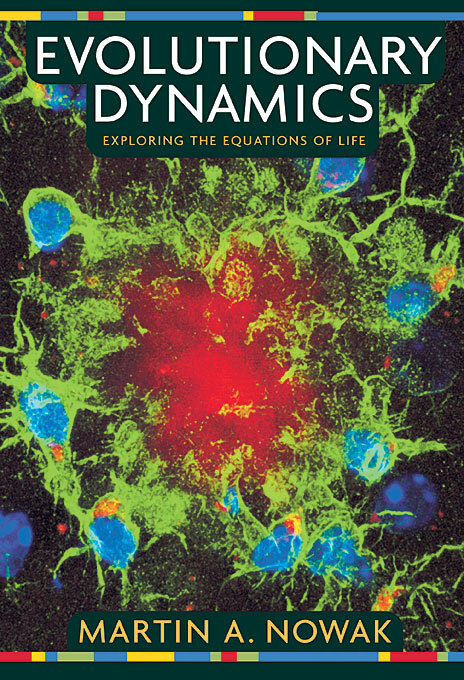 In this book, Martin A. Nowak draws on the languages of biology and mathematics to outline the mathematical principles according to which life evolves. His work introduces readers to the powerful yet simple laws that govern the evolution of living systems, no matter how complicated they might seem. Evolution has become a mathematical theory, Nowak suggests, and any idea of an evolutionary process or mechanism should be studied in the context of the mathematical equations of evolutionary dynamics. 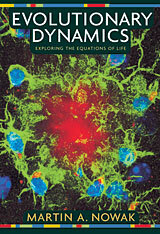 His book presents a range of analytical tools that can be used to this end: fitness landscapes, mutation matrices, genomic sequence space, random drift, quasispecies, replicators, the Prisoner’s Dilemma, games in finite and infinite populations, evolutionary graph theory, games on grids, evolutionary kaleidoscopes, fractals, and spatial chaos. Nowak then shows how evolutionary dynamics applies to critical real-world problems, including the progression of viral diseases such as AIDS, the virulence of infectious agents, the unpredictable mutations that lead to cancer, the evolution of altruism, and even the evolution of human language. His book makes a clear and compelling case for understanding every living system—and everything that arises as a consequence of living systems—in terms of evolutionary dynamics.